Want to be notified of new releases in masamichiueta/UseBaseClassRule? A sample project to use IBLinter use_base_class_rule. 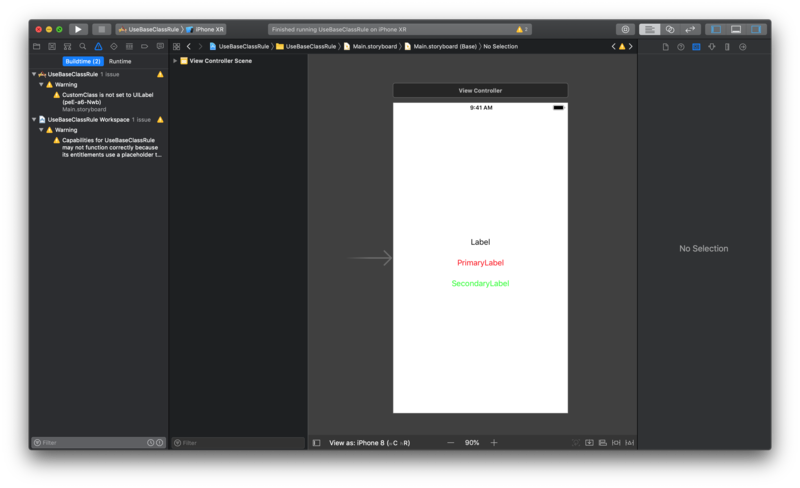 If labels in xib or storyboard don't use custom class defined in .iblinter.yml as base classes, Xcode reports warnings.